Superficie angolare cromata, 2010/2011, acrylic on canvas, 70 x 50 x 50 cm, courtesy of the artist and Haunch of Venison. 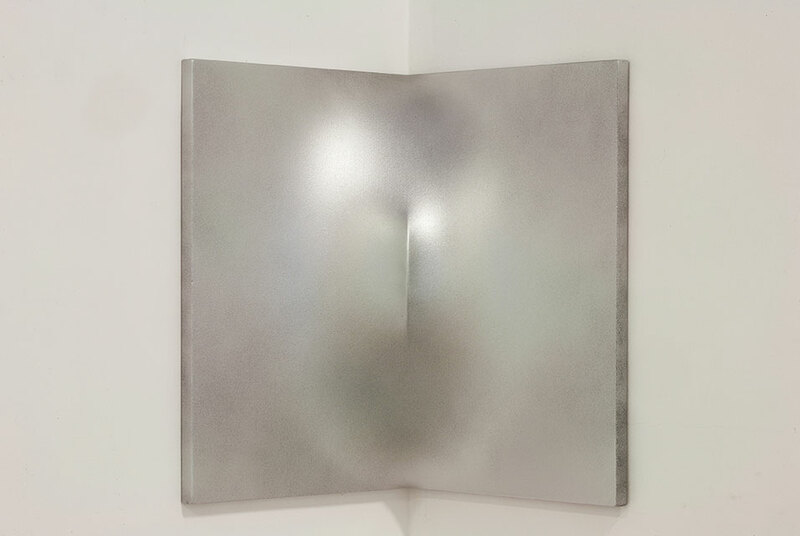 NEW YORK, N.Y.- Haunch of Venison announces Castellani e Castellani, a special exhibition of both new and seminal work by Enrico Castellani, one of Italys most influential artists, from November 11th 2011 to January 7th 2012. The show features new paintings that continue the dialogue set forth in his formative Angolare series as well as present his critically acclaimed Spazio Ambiente, a roomlike environment from 1970 that has rarely been exhibited publicly, and which is graciously on loan from the Fendi collection. Although created decades apart, the works exemplify Castellanis signature style and merge art, space and architecture to transcend the confines of painting. The Angolare (Angular) series consists of 12 painted works from 1960-1965 for which Castellani fabricated corner-shaped armatures that impose concave and convex curvatures on the canvas, yielding subtly disorienting perceptual and spatial effects. In this exhibition, Castellani reconsiders the Angolare works for the first time since 1965, expanding the series  monochromes painted black, red, or white  with five that display a silvery surface. The metallic, reflective pigment activates and thickens the surfaces of the works, enhancing their sculptural, even kinetic, quality while creating an ethereal presence. Moving beyond the spatially suggestive quality of his Angolare series, Castellani produced his first environment in 1967. Called the Ambiente Bianco (White Environment), the work was a spatially enclosing structure formed by interlocking canvases of geometric and angled shapes. The work was destroyed following its exhibition. In 1970 Castellani reconstructed the environment, adding a floor and ceiling, and reintroduced it as Spazio Ambiente (Environment Space) in the landmark exhibition Vitality of the Negative in Italian Art 1960/70 at Romes Palazzo delle Esposizioni. Spazio Ambiente is a 360-degree painting executed in a translucent white acrylic that produces a luminescent and transcendental optical effect. Castellani demonstrates the power of abstract painting to transform space and encompass the viewer. Together the Angolare works and Spazio Ambiente articulate Castellanis determination to produce unprecedented and dynamic spatial experiences while using the traditional canvas. Formally trained as an architect, Castellani focuses on manipulating the surface configurations of his canvases to alter perceptions of space. In a recent interview with the artist, Hans Ulrich Obrist described Castellanis break from traditionally conceived paintings as an epiphany. Drawing inspiration from Lucio Fontana and Piet Mondrian, Castellani developed his breakthrough signature style in 1959. With Piero Manzoni he founded the Milan gallery Azimut and the affiliated journal Azimuth, organizing international exhibitions and publishing essays that opposed the dominant art movements in Europe at the time. Revered as one of the forerunners of Minimalism and Conceptualism, Castellani continues to produce new works that sensitize and liberate the surface of the painted canvas. Castellani has exhibited at the most renowned institutions in the world including the MoMA and the Solomon R. Guggenheim Museum, New York; Centre Georges Pompidou, Paris; Stedelijk Museum, Amsterdam; Palais des Beaux Arts, Brussels and he has represented Italy at the Venice Biennale. He has had retrospective exhibitions at The Pushkin Museum of Fine Arts, Moscow, Russia; Kettle's Yard in Cambridge; The Fondazione Prada in Milan; Galleria Civica di Arte Contemporanea in Trento; and Palazzo Fabroni in Pistoia. Castellani was the 2010 recipient of the Praemium Imperiale for Painting, the first Italian artist ever to receive this honor. Patricia Piccinini and Victoria F. Gaitan open solo exhibitions at Conner Contemporary Art.